4. This is a fast paced drill. Pass-shoot, pass-shoot, etc. 4. Goalie movement side to side as this should be a fast paced drill. This drill is great for Defensive players as you are working on another area of the rink with the Offense. 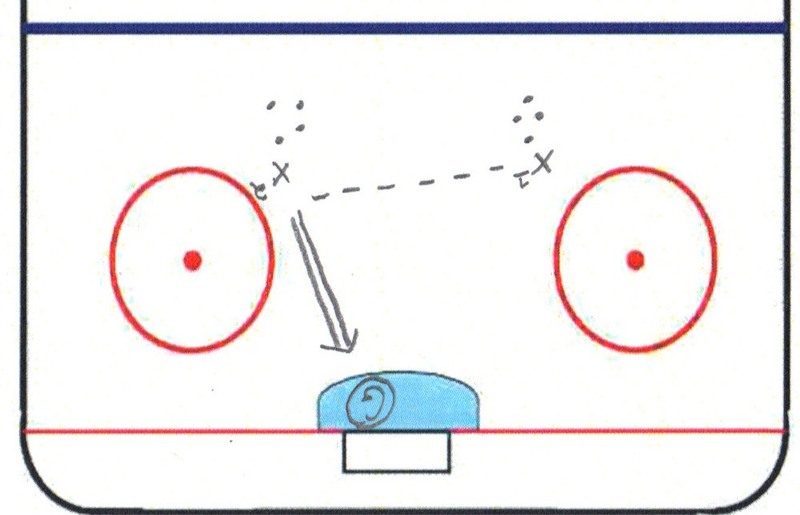 Variation 1: Add in a forward in front of the net for deflections and rebounds. 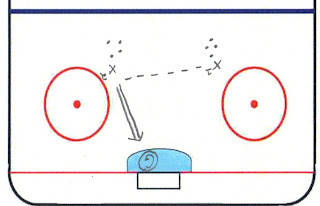 Variation 2: Make the players make 3 passes before shooting to encourage puck movement.